This will be the slow route to the Zhen Xian Bao. “Another project I wanted to do for so long.. making a yarn book using paperfolding techniques developed from a fascinating tradition from remote South West China. It is an aspect of folk art and takes the form of an intriguing type of folder made principally for storing embroidery threads by the Miao, Dong and other minorities. 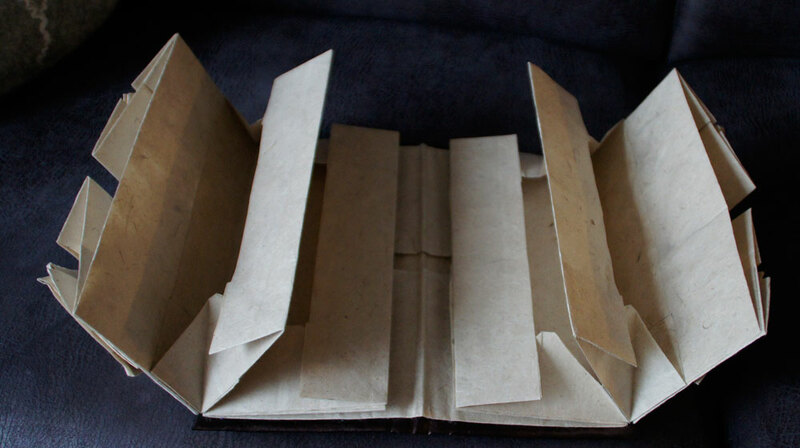 Instead of pages they contain many ingeniously folded 3-dimensional compartments. The original books are beautiful decorated inside (stil have to do mine), and usually have a plain indigo cloth cover. I made an inset decoration of tyvek (again another material I wanted to work with) in the cover of mine book. I was touched that Sue just assumed I would know something about this structure. Nope. Never heard of it. But I was intrigued. Found nearly nothing, certainly nothing helpful. Even Pinterest had barely discovered the Zhen Xian Bao. But that was two years ago. Everything has changed. There are videos, tutorials, blog posts, and Pinterest boards devoted entirely to the Zhen Xian Bao. 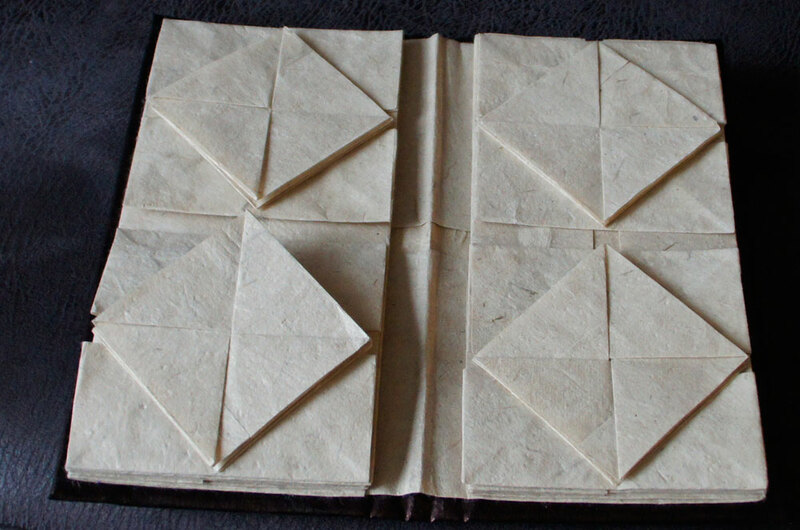 In fact, if you visit my Zhen Xian Bao Pinterest board and follow the pinned links, you can make your own Chinese Thread Book without waiting for or referencing the posts that I plan on writing over the next couple of months. Playing around with the different parts of the thread book has led me to think of it as a responsive structure. In other words, there are no set-in-stone measurements that will work for all kinds of papers, but there are relationships that are consistent. Still, there’s more: I’ve found that I need to actually start making, not the first, but the second-element layer to determine the best measurement for the element beneath it. From what I’ve read, traditionally some people start with the most inner layer and work out, determining their measurements in the opposite order that I will be writing about, but the concept is the same: the beginning measurements determine the rest. Unequivocally, the best way to do these measurements is without a ruler.It’s preferable to continually reference and re-reference the structure itself to discover the right measurements. You make the first decision, which has to do with your preference for the height and width of the final closed Zhen Xian Bao, keeping in mind that there needs to be a 2:1 relationship between height and width. the rest of the measurements follow from the first decision. Ah, I just realized that I hit the “publish” button when I meant to go to the “save draft” option…so this post is already up. I will let it stay up, but will continue the way of beginning with the next post…. One thing that is important to for me add is that Sue Cole, who was endlessly curious and enthusiastically generous with her acquired knowledge suddenly disappeared from my inbox and comments about a year ago. I eventually went looking for her, hoping I hadn’t somehow offended her with my sometimes slow responses to her messages. Sadly for me, I discovered that her spirit has moved on. In her memory, with appreciation to her energy, generosity and earnest pursuit of wonder, these posts on the Zhen Xian Bao are joyfully dedicated to Sue Cole. Totally intriguing! 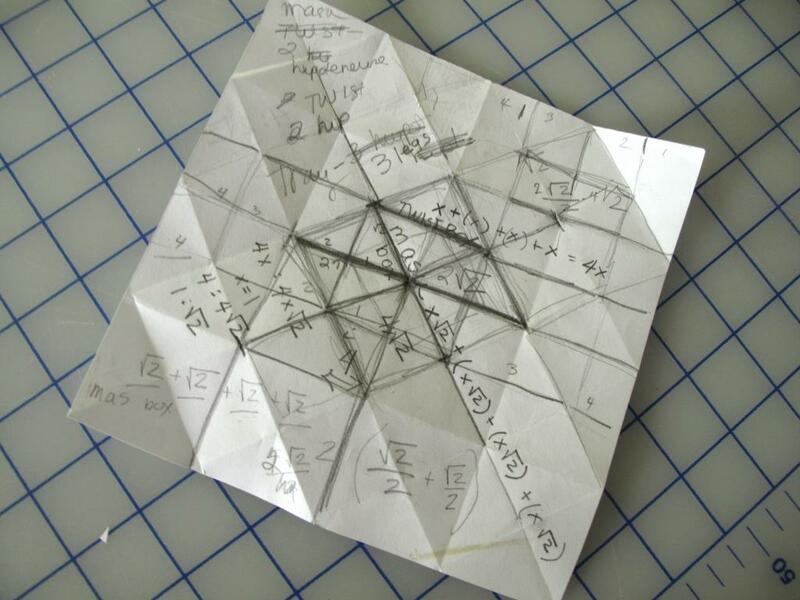 I will definitely be attempting this project. I love what you contribute, Paula, and your audience! HI Carol, OOps I hadn’t actually finished the post before you saw it! When I am taking my time writing up a post I am always worried that I will press “publish” instead of “save draft,” which is what I did this time. I’ve added a bit more since you saw the post, but I’ve decided to let it stand as is, and will get the beginnings of the structure up soon. This has been such a compelling exploration for me!